Source of title proper: Title based on the contents of photograph. 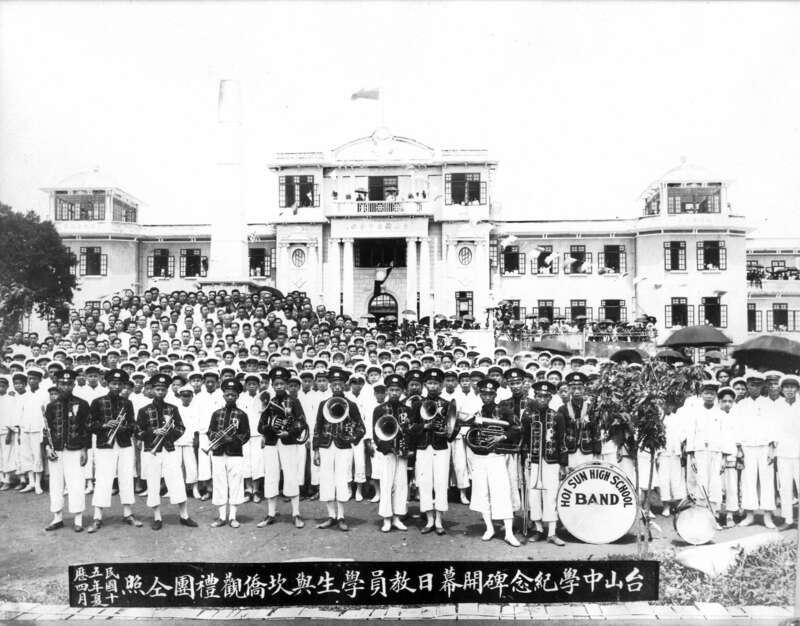 Item is a group photograph showing the Hoi Sun High School Band, staff, students and Canadian Chinese at the inauguration of the memorial monument. A typed caption that is not attached to the photograph's mount says "A group photograph of teachers, students, and Canadian Chinese taken in April 1926 at the inauguration of the Memorial Monument at Hoi Sun (Taishan in mandarin) High School in Guang Dong Province. Mr. Yip Sang donated $3,000 to the establishment of this school." Mat is stained. Image is faded. Before 2008, the photo was numbered as CVA 689-16.6.